What does summer embody for you? The word that comes to my mind is “FUN”! It’s the time of year we swim, go on road trips, go out camping, lick popsicles, hit the beach, have barbecues; it is the time of having fun, right. So when the end of summer comes often it means the end of “fun” to the kiddos, right? But it doesn’t have to be that way! Fun should last all year long. And one way I have learned to make yearlong fun is to have a love of learning. 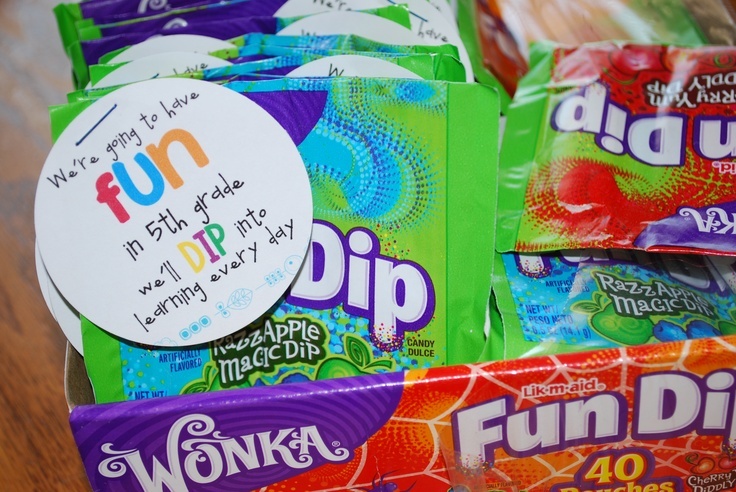 Making learning experiences fun is key to having fun all the year long! 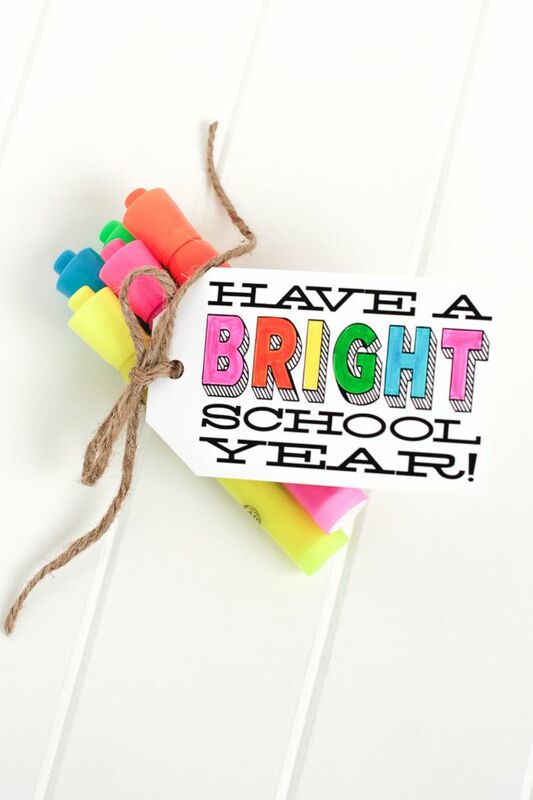 As the month of September begins so does school and fall is on the brink, a time of great learning and change. I do not yet have kiddos to pack lunches for or do homework with but I already believe in teaching my itty bitties the importance of learning. As you prep those pencil boxes, backpacks and back to school clothes also think of some fun ways to make the learning process and the change in seasons exciting and special. I love to make little notes and attach them with special gifts. It is a special and exciting thing to get a little good luck package, a little note to say I love you, or a good joke. They can be the simplest little thing but they make a big difference to make someone’s day special. And most often these gifts have a good food or treat involved, cause lets face it, food makes everyone happy! As your families enter the season of school and busy schedules here are some fun ideas to make it more exciting and fun! Who doesn’t love secret powers? I have always dreamed of being able to speak every language on the planet! Now that I am a mom my super power would probably involve being able to go off of no sleep and magically have the kitchen spotless. 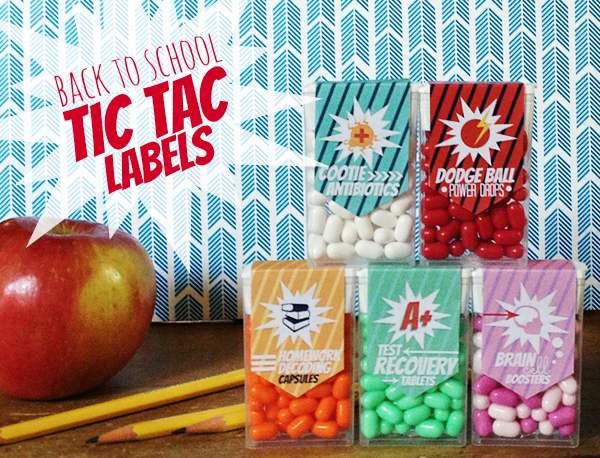 Whatever your secret power desire is, these little tic tac boxes are sure to be a hit! Use some fun printables or make up your own fun labels that are personalized to your own families’ wishes. Just be careful to make sure it’s a super power you wouldn’t regret :). Having a good laugh will brighten anyone’s day. I remember when I was in elementary I met a girl who’s mother would always put a good joke, or quote or fun note on the bottom of her lunch bag. What a special and quick thing to do for your child or husband or friend. 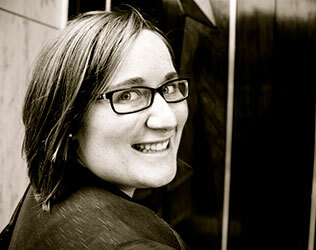 Laughter really does make one happy and having it in your lunch box to find each day makes it even more fun! 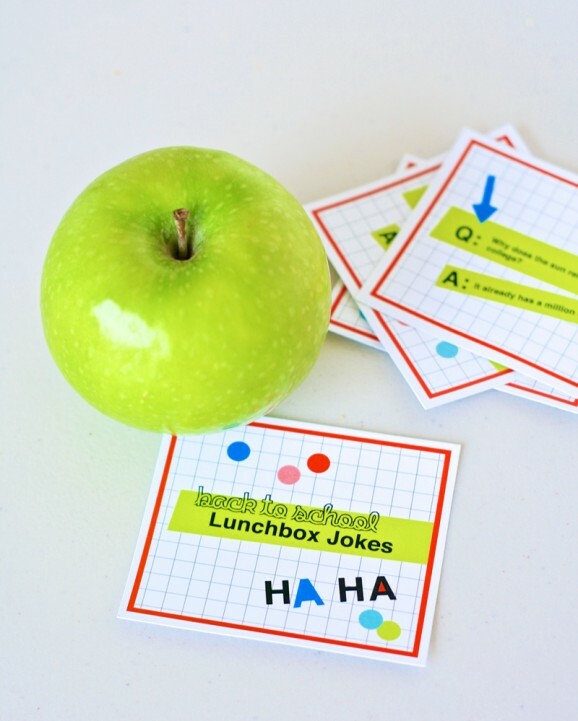 So go dig up your favorite jokes and have a little laugh as you prep the fun lunches! There are so many treats you can use to make fun phrases with! Have you ever made a candy poster with Snickers and Big Hunks? They are so clever and so much fun. Think of some of the favorite candies your kids have and make a clever little card to attach to it! It is sure to sweeten anyone’s day to get a little treat saying! Enjoy learning every minute and make life fun! I love the good quote that “Life is a cup to be filled, not drained.” So, when life starts to feel draining and like you can’t keep up throw in some food fun and a little note to go with it! It is sure to fill your cup and brim it with joy!